Hail, sleet, and snow in the midst of a thunderstorm – that was my welcome to Michigan. The date was October 20. I had left almost 90-degree weather, an atypically warm Orlando autumn. To say this was a shock to my system would be an understatement. First stop after touching down was Costco, of course. It was as I pulled into the parking lot that the sleet began. I sat there in my rental car in awe of the sudden extremely different from Florida precipitation when it started to hail, accompanied by thunder and flashes of lightning. Being a Floridian, I can drive in the worst of a rain storm, but this, I wasn’t so sure. Then, flashing through my mind, were those weird road signs that warn bridges ice before roads. I would be crossing bridges. I reminded myself that I could do this, but I didn’t wanna! My first thought was, I needed a nap. I’d gotten up early to catch my flight and sleep on the plane, well, that doesn’t really count. But the thought of driving through this kind of weather did wake me up. Of course, I didn’t have an umbrella, and the sleet was mixed with rain that was coming down pretty steadily. I needed to do my Costco run before making the two-hour drive to my son’s house. He and his wife were expecting their second child, and my grandmother calling was strong. Neither snow nor rain nor cold nor gloom of Michigan autumn would stay this grandmother from the swift completion of her appointed Costco run. I decided to go for it – cold, wet weather and all. And then, it stopped. I was so thankful! I bought my stuff and made the drive with only slight rain falling on the windshield. The temperature stayed above freezing, so the bridges were fine! The snow flurries waited until I arrived at their home. Seeing my son, Joe, my grandson, and my very pregnant daughter-in-law was all the sunshine I needed. It was wonderful to be there. Now, the baby could come any time. He was due on the 24th. He had a plan of his own. No grandmother I know has ever been so well rested while going to help with a new baby. After scheduling to be induced on November 1, Aubyron delivered a very healthy, 10-pound baby boy on Halloween. That was a Wednesday, and I was scheduled to come home on Saturday. We were really sweating out those final days, wondering if I’d get to see the baby at all, wondering if I’d be there to help with their three-year-old. Thankfully, I was able to push my departure back a couple of days and go home on Monday. While we were waiting, I had the best time with my grandson. We built blocks, did puzzles, read stories, baked cookies, and played. I tried to pack in all the stuff that I don’t get to do on a regular basis with him. It was wonderful. We also saw all that their small, college town had to offer. We took walks. Many, many walks. My poor daughter-in-law was miserable and trying to do what she could to encourage the birth, and my son was getting a little anxious, too. Let me give you a little glimpse of our tour. 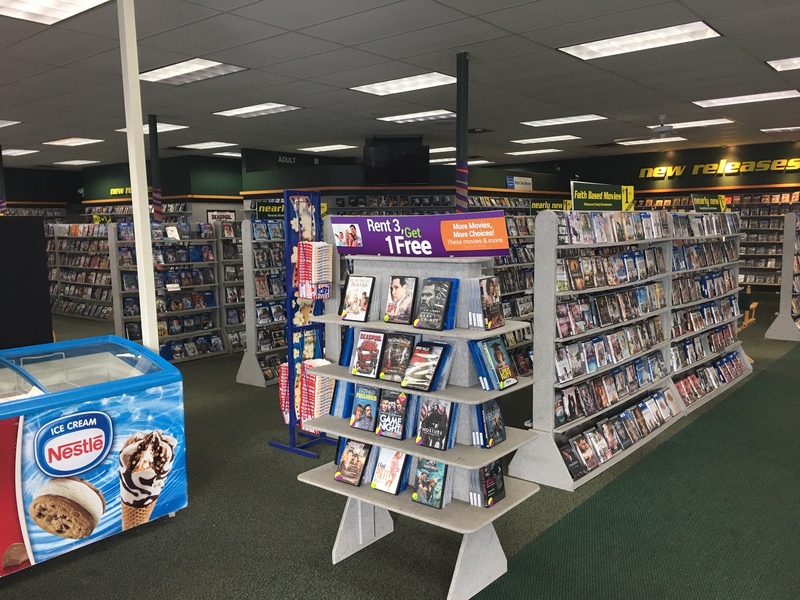 I was struck by the comparison of what a Michigan store stocks and what a Central Florida store stocks. 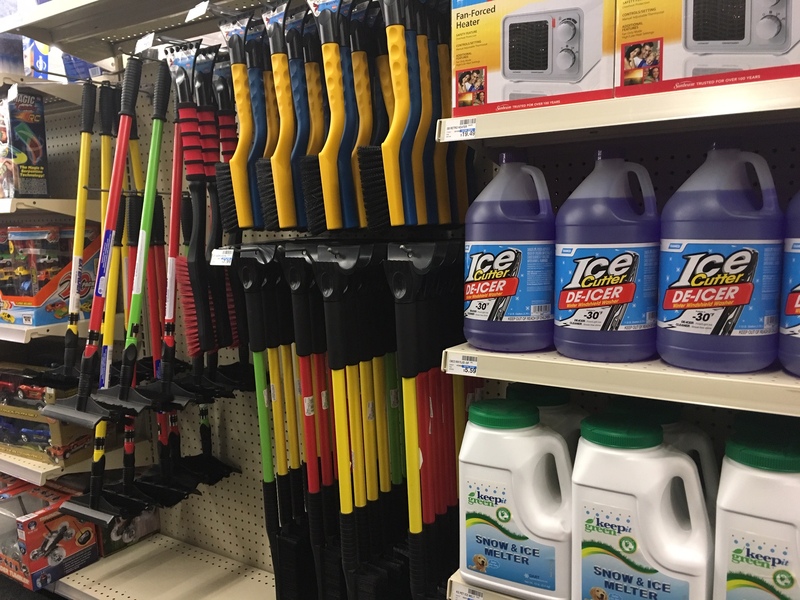 An entire section of things to keep the ice off your car. You can’t find this stuff in Orlando. I mentioned they live in a college town. That should have given me a clue as to what this was all about. 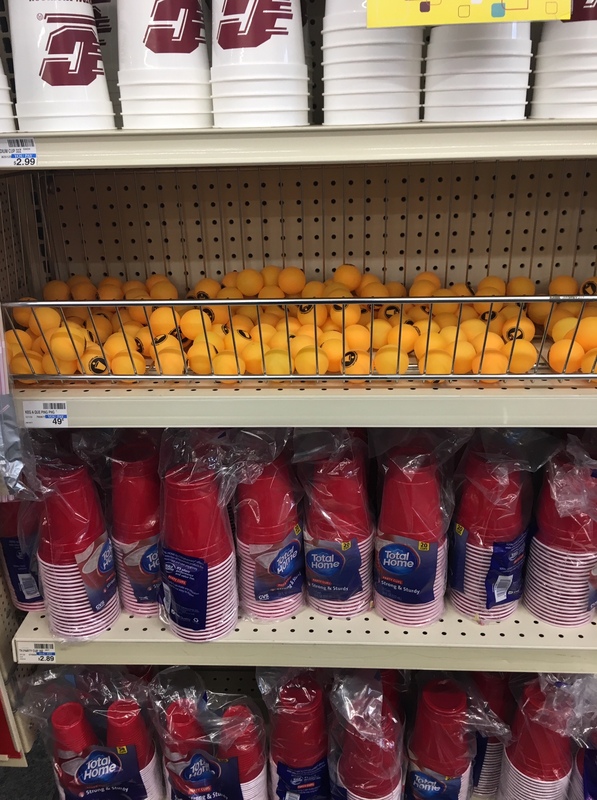 Everything you need for beer-pong in one handy spot. I’ve never noticed that at CVS where I live. 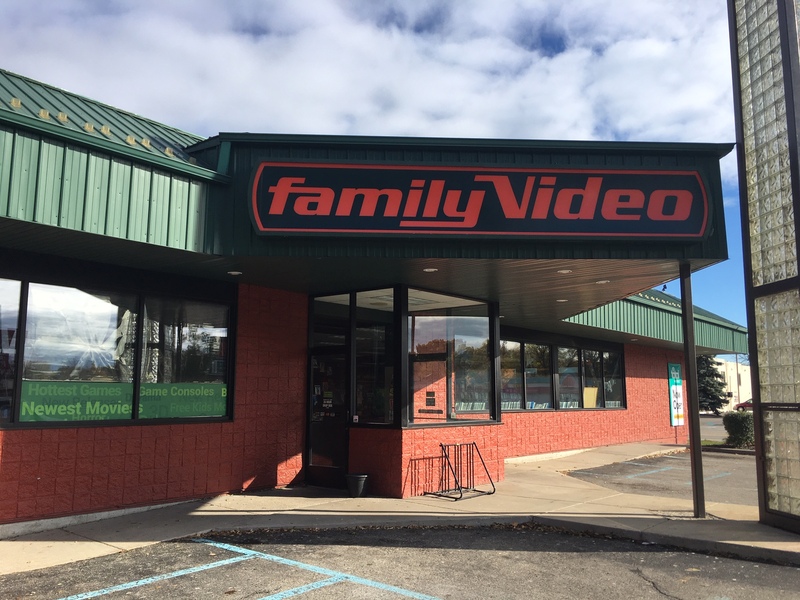 They have a Family Video rental store, though I found no VHS tapes in there. The walls were lined with DVDs and I understand it is quite popular. And, if that weren’t enough, they have real, live Fall up there. 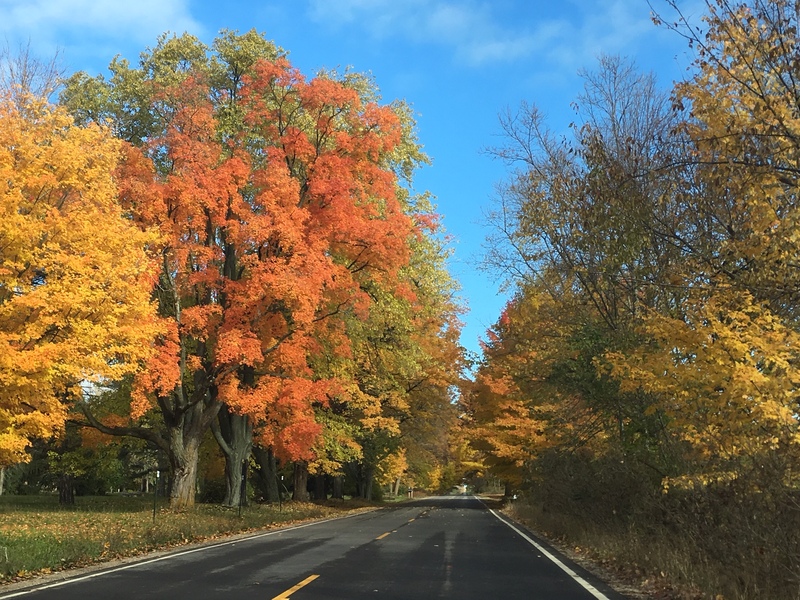 They don’t have to fake it by purchasing colored leaves and pumpkins. Those things are there naturally. It was beautiful. But the most beautiful thing I saw there, showed up on October 31. Yes, all else pales in comparison. Welcome to the world, Oliver! 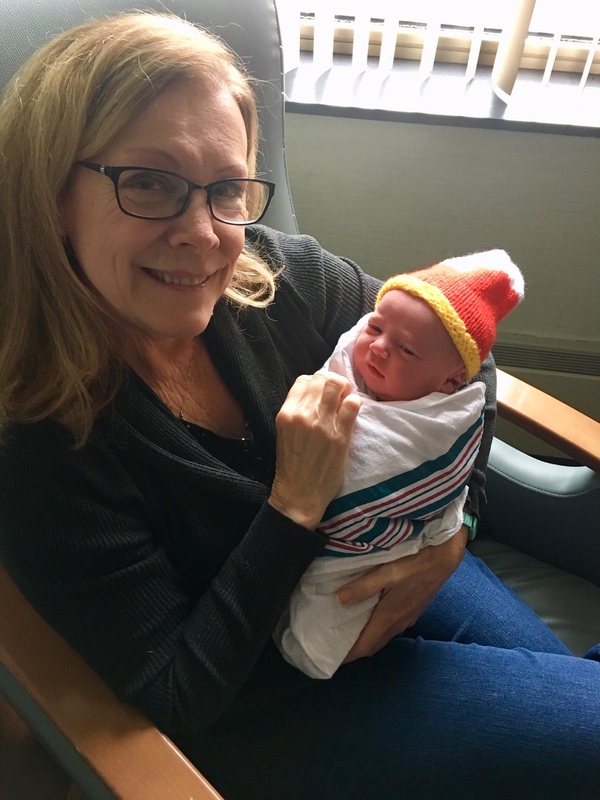 Grandchild #8. He’s so beautiful! Now you understand why I haven’t posted lately. Love is very distracting and consuming in the best of ways.